- A heartwarming reminder of the four-legged friends who make such an impact on our lives. Made of amber glass. Approx. 4" in diameter. Comes with a hemp cord and glass beads for hanging. 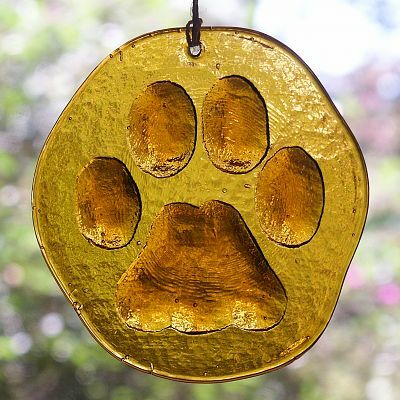 Do you have any other questions about our Pawprint Suncatcher?